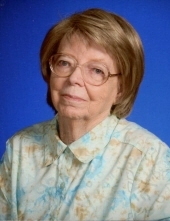 Ruth Ruege, of the Town of Grafton, passed away April 11, 2019, just four days short of her 91st celebration of life. She took pride that she lived in her century home for 67 years. She was born in Milwaukee, daughter of Earl and Theresa Radloff (nee Dejardin) and grew up in the Port Washington area. She shared many stories of Port’s history with her grandkids, while listening to their adventures and accomplishments. She worked as a Graphic Arts Manager at Tecumseh for many years. Ruth enjoyed activities including crafts, jigsaw puzzles, antique collecting and bird watching. She also enjoyed watching Wisconsin sports, playing the piano, reading, and was an avid card player. She was a member at St. John’s Parish and enjoyed driving her old convertible to church and could be seen taking her beloved dog for rides with the top down. Ruth is survived by her children Lynn, Mike, Randy, Cindy Bolton and Charlie (Barbara). She was a very proud grandmother of Jesse and Adam Bolton and Kayla, Marlena and Charlie Ruege Jr, and great granddaughter Madison. She will be missed by family and friends. A Memorial Visitation will be held on Saturday, May 4, 2019 @ Mueller Funeral Home & Crematory, in Grafton. The visitation will be from 10:00 AM – 12:00 PM. Memorials to The Alzheimer’s Association are appreciated. To send flowers or a remembrance gift to the family of Ruth C. Ruege, please visit our Tribute Store. Guaranteed delivery before Ruth's visitation begins. "Email Address" would like to share the life celebration of Ruth C. Ruege. Click on the "link" to go to share a favorite memory or leave a condolence message for the family.